What is that one thing that keeps the internet buffs glued to the laptop or phone 24*7? Some will say Facebook, a lot will say Instagram, and some will be ardent fans of YouTube. However, Netflix is the new cool thing for all the movie buffs out there and its popularity seems to grow with each passing day. If it were not for the cheap and fast internet services, Netflix would still be a distant dream to the citizens of India. But, thanks to Reliance Jio, the use of Netflix has increased considerably over the past year in India. So, apparently, owing the huge success of Netflix in India, the CEO of Netflix, Reed Hastings, could not keep calm as he labeled Jio as a transformational network. “It’s going to be a very exciting and competitive market,” Hastings commented. 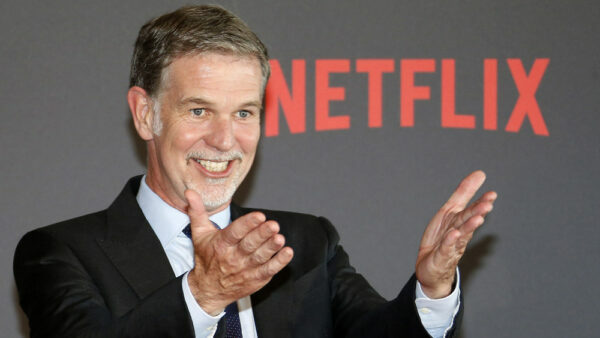 It seems that Reed Hastings must have been really happy with the success of Netflix and the citizens’ devotion to it. He went on to heap praises on Reliance Jio in an interview with The Economic Times, where he mentioned the need of all the countries for an amazing network like Jio. Netflix has indeed reached the pinnacles of success in India as it added 5.9 million subscribers internationally whereas it grew by 1.1 million subscribers domestically. Now, that indeed is a huge number given that it was introduced in India in 2016. Owing to a great movie industry in India and given the number of stories the country has to offer, India is a huge market for Netflix. Netflix has featured amazing Indian series like Sacred Games, Selection Day, Bard of Blood, and Again, which earned great accolades from one and all. Netflix will introduce new Indian series, which are Leila, Crocodile and others. But what is it that makes Netflix so popular in India? It is true that the wide popularity of Netflix and the wonderful series and movies that it has offered has been only possible because of the easy availability of fast internet services like Jio. These services have provided super fast internet to millions of Indians at dirt cheap rates. Because of this, it is now possible to even stream Netflix shows and movies on our phones! The post Netflix’s CEO Is All Praises For Jio, A Moment Of Pride For The Company appeared first on RVCJ Media.